On May 18, Arizonans will vote on whether to approve Proposition 100, a temporary one-cent increase to the state sales tax that will help address the state’s budget deficit. 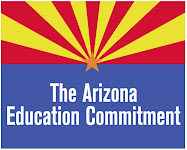 A new study by researchers at the Economic and Business Research Center at the University of Arizona finds that a yes vote on Proposition 100 would save more than 13,000 jobs and preserve more than $442 million in federal matching funds for Arizona. Proposition 100, sent to the ballot by the Arizona State Legislature, asks voters to raise the state sales tax by one penny to to 6.6 cents per dollar for a three-year period. The sales tax would revert to 5.6% on May 31, 2013. Estimates provided by Gov. Jan Brewer’s office indicate the sales tax would generate $918 million in revenue each year. The researchers concluded the revenue would provide significant economic activity throughout the state. The Arizona State Legislature has already passed, and Gov. Brewer has signed, more than $867 million in cuts to education, public safety, health care and other state services if Proposition 100 does not pass. In this case, the Arizona university system would face a $107 million budget reduction, $42 million of which would go to the UA. These cuts, the study found, also would trigger the loss of more than $442 million in federal matching funds, which are primarily allocated to the Department of Health and the Department of Economic Security. “The extent of the federal dollars being lost was a surprise,” Charney said. Charney and her colleagues reviewed state agency budgets in detail to examine how funds are spent. They used a model that tracks the nature of spending by state agencies, projections of revenue generated by Proposition 100 and proposed budget cuts. According to Charney, many of the jobs that would be saved are in the private sector, which would benefit from the increase in individual and agency expenditures made possible by the funds generated by the sales tax. The researchers cite three primary reasons that a cut in the state government budget would generate a greater impact than an increase in the sales tax rate. First, the government is a service provider and, generally, employs more people per $1 million in expenditures than do non-service providers. Consequently, a larger portion of government expenditures is paid as labor income than other sectors of the economy. Second, more than 10 percent of the sales tax would be paid by out-of-state visitors. Finally, the sales tax would be imposed primarily on the sale of tangible goods, few of which are actually produced in Arizona. Even if Proposition 100 passes, the state faces a massive budget deficit that will require additional major cuts. The study does not account for additional impacts of dramatic cuts to K-12 and higher education, public safety and other state services–all of which are likely should Proposition 100 fail. “We only looked at the flow of the money. We didn’t look at the long-term consequences of a drastically cut education system,” Charney said. What Will It Cost If Arizona Voters Reject the One-Cent Sales Tax Hike On May 18, 2010? How much postage is required to return the early ballot? No Postage is necessary if it is mailed in the yellow return envelop they give you. Happy Voting!